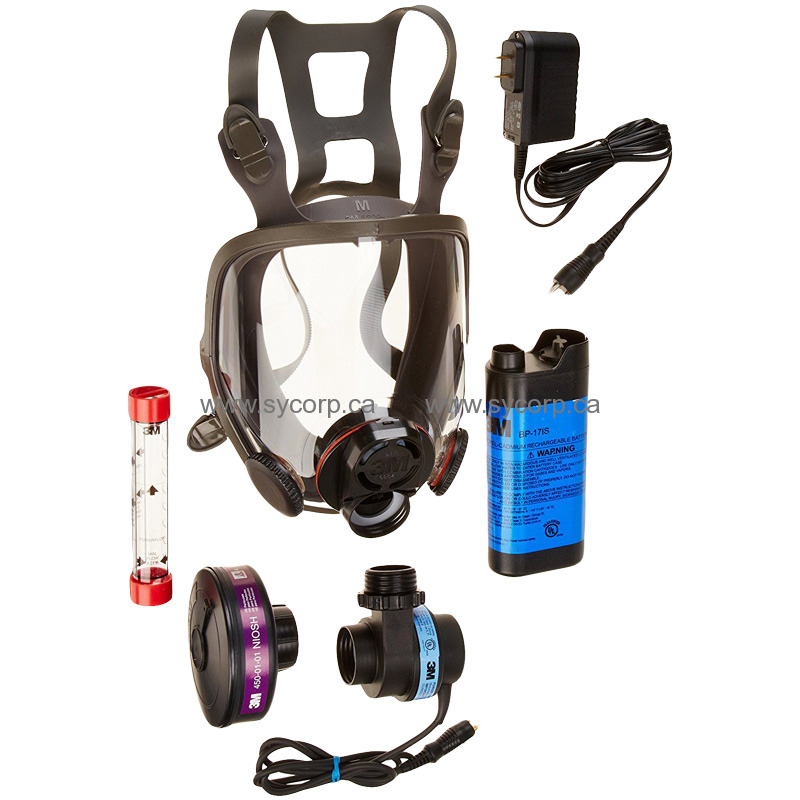 The complete system includes a tight fitting full facepiece, facepiece-mounted blower/filtration unit, rechargeable battery, battery charger and high-efficiency particulate filter. The NiCd battery pack provides up to 8 hours of operation. The facepiece-mounted, motor-driven fan is contained in an integral filter carrier and draws ambient air through the filter/cartridge. The rechargeable NiCd battery pack with top switch is fitted with a clip for belt mounting. 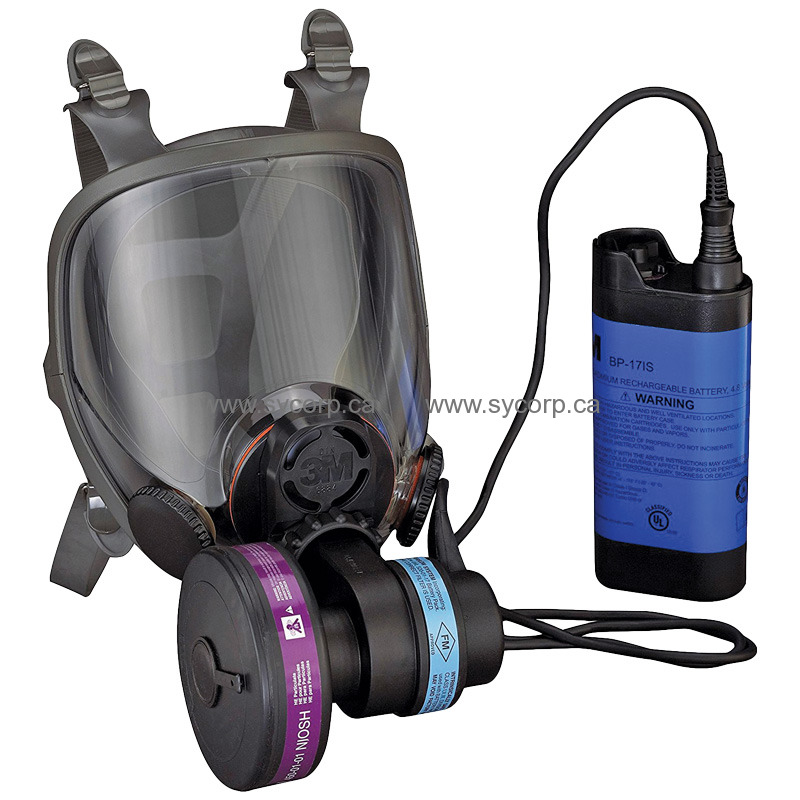 Use for respiratory protection against certain airborne particulate contaminants including dusts, fumes, mists, radionuclides and asbestos.